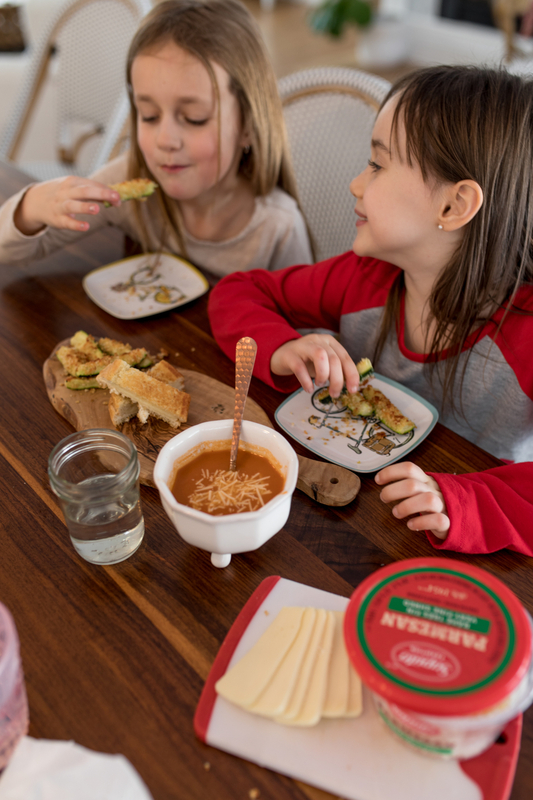 We’ve been hibernating these days in the depths of winter, anticipating Spring time but enjoying delicious foods while we savour every extra minute with the kiddos on snow days. Over the holidays we enjoyed so much quality time, especially in the kitchen making some of our most favourite foods for our little ones and sharing laughs. 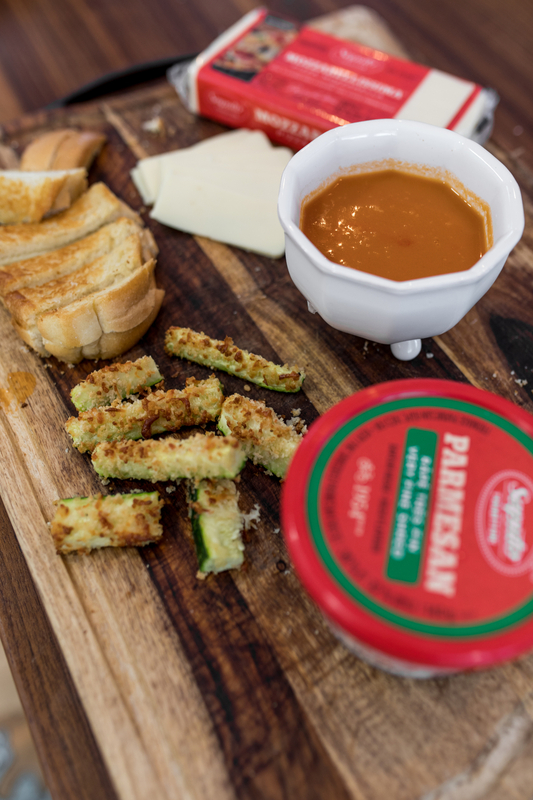 One of my favourite meals and totally nostalgic too, we made the kids some grilled cheese fingers with Saputo Mozzerellisma Cheese with freshly baked bread and a homemade tomato soup – talk about delicious! 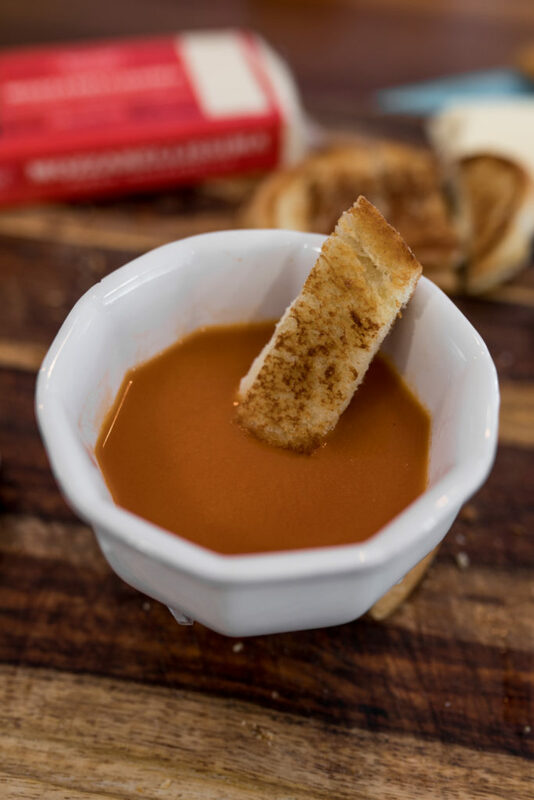 The kids had so much fun dipping their grilled cheese fingers in the soup and it was adorable watching them enjoy it like I used to as a kid, well who am I kidding – I ate it too and enjoyed every dunk! 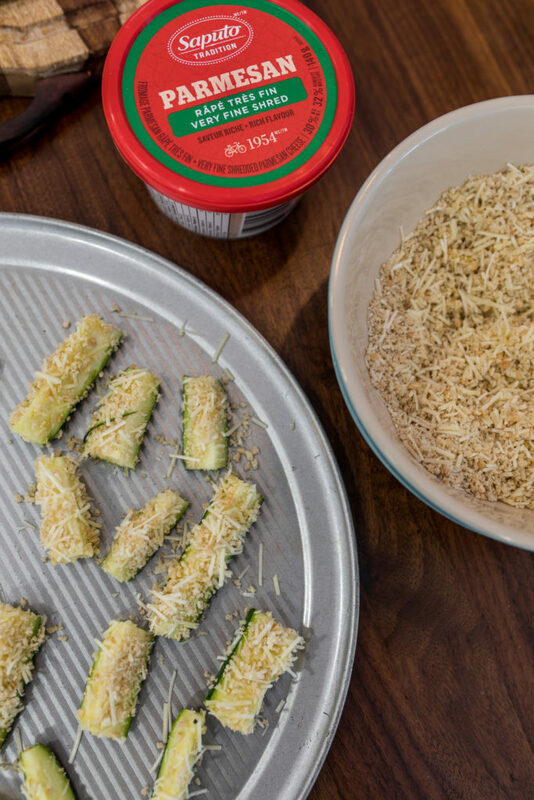 We paired this yummy homemade snack with some Saputo parmesan crusted zucchini fritters too, healthy and super easy to make. This entire meal for the kiddos took us less than 20 minutes to make, even the soup was quick and from scratch! 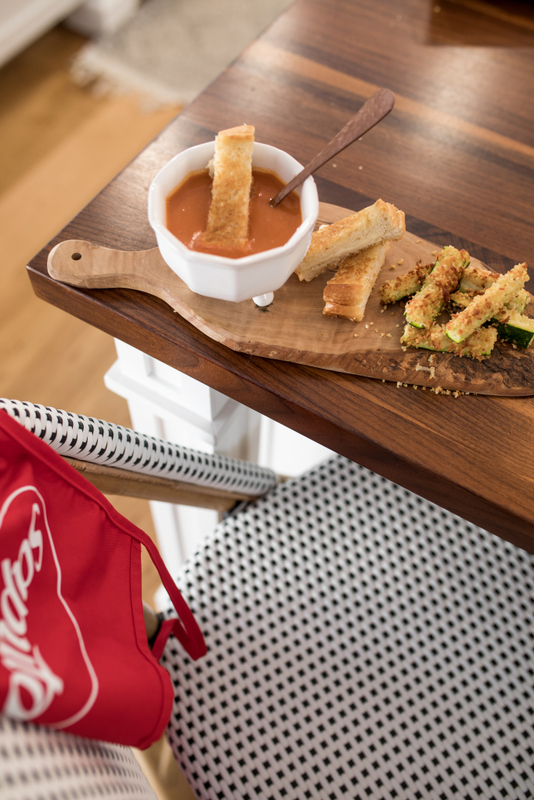 Do you have any meals you make for your little ones that you enjoyed the most as a child? 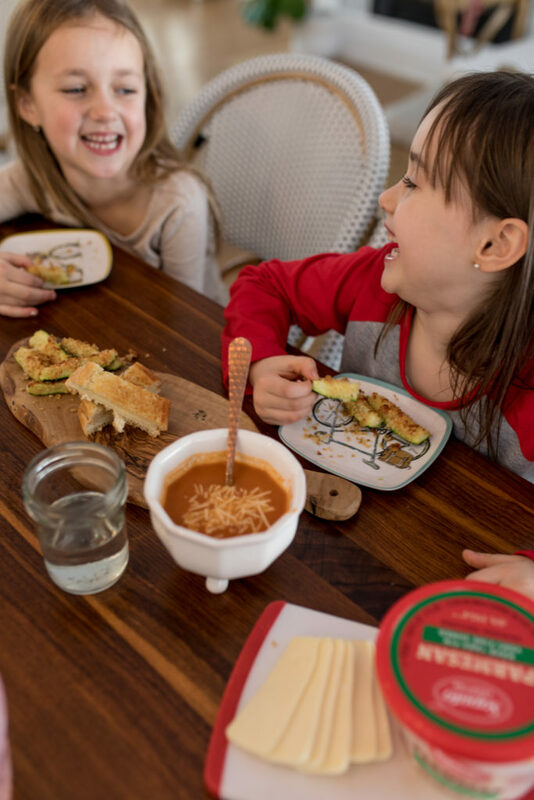 I remember the days after spending hours playing in the snow and warming up with homemade soup and a grilled cheese filled with delicious cheese and fried with butter – drool worthy, comfort food for sure! 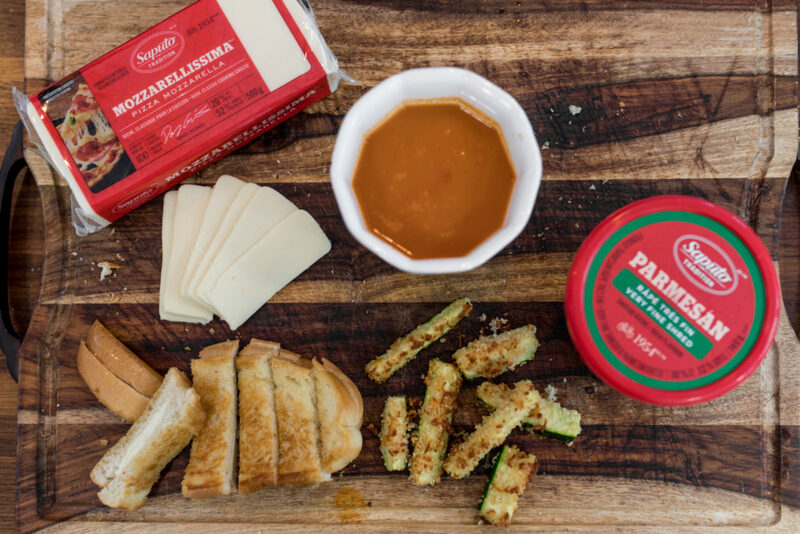 Over the holidays we also took extra time for breakfast to get creative with other Saputo cheeses like their new Ricotta Fiorella, it’s amazing! I scanned through the fridge and cupboards and decided to make some homemade crepes for the family with Saputo cheese & fresh apples from the market. Crepes are really quite easy to make and since I’m French, we make them a lot! 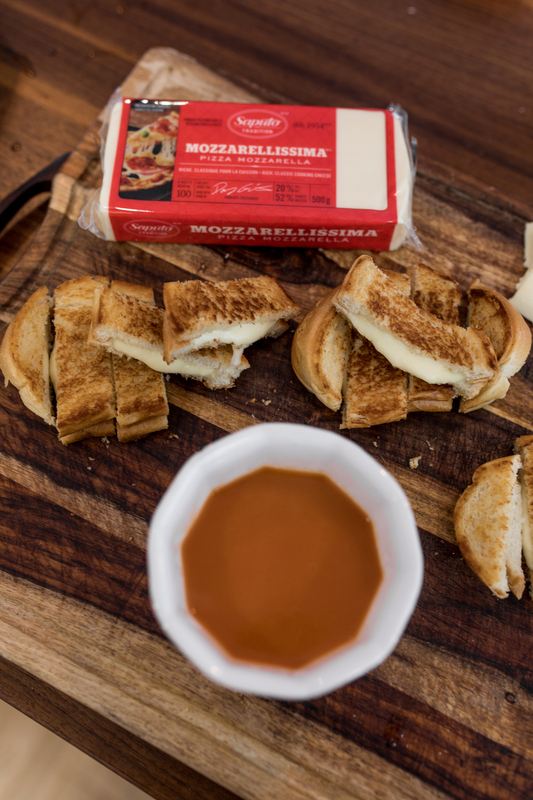 I stuffed them with a delicious blend of Saputo ricotta cheese and warmed up apples – SO good guys! The kids loved it and so did we and it was sweetened naturally with honey & maple syrup, just the way I like to cook for my littles. We love spending time with the kiddos in the kitchen, getting them involved stuffing the crepes or layering the Mozzarelissma cheese in between two slices of bread was pure magic with the looks on their faces of being involved in a recipe, it’s the little things at home when we are together cooking that I lay awake before bed thinking about. 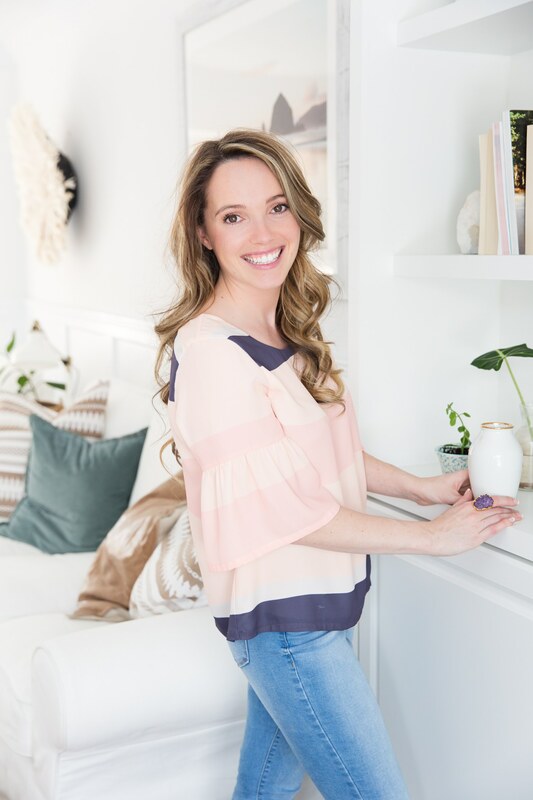 I smile, feeling fulfilled from that quality time – I highly suggest it if you’re up for it! 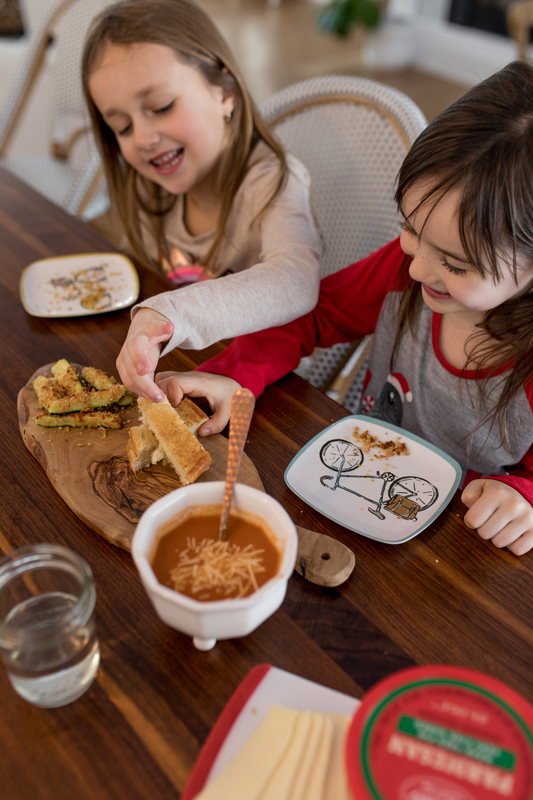 Do you cook with our little ones? Start them young! Today we wanted to share some of the recipes we made over our holidays at home so you can try them in your kitchen if you wish. 1. Put your sliced apples in a large bowl and add brown sugar, cinnamon, fresh lemon juice and mix it all. Let the apples sit for 10 minutes. In a medium size pan heat 2 tablespoons of butter on medium heat (do not burn it). Add the sliced apples (without juice) to the pan, close with a lid and let them cook for about 5 minutes, stirring a few times. After the 5 minutes, fold the sliced apples on the other side, close the pan with the lid and let them cook on high for another 5 minutes then you can remove it from the heat. Depending on how hot your stove gets, it might take you less or more time to cook apples, the key is to brown them but don’t overcook it. Right after you remove the pan with roasted sliced apples from the heat, add the honey – it will make apples sizzle and will caramelize them beautifully! Then, add all other juices from the bowl. In a separate, small skillet, heat the Saputo ricotta cheese on low heat and maple syrup and keep mixing it until the mixture becomes liquid and of even consistency. Remove from the heat and let cool. Once it cools a bit, the mixture will become more solid, which is what you want to happen. 4. To serve: add 2-3 tablespoons of maple syrup ricotta cheese mixture on top of an open crepe, fold the crepe in half, then fold it one more time to form a triangle. Pour hot mixture of honey, butter and caramelized apples on top and Serve! We added a touch more maple syrup on top after haha! We hope you enjoyed today’s blog post in partnership with Saputo Cheeses, we’ve had so much fun creating and sharing some of our favorite recipes with you! We blended every thing in our vitamix on the soup setting as it cooks the soup for about 5 minutes while blending it (toss in the celery stock during the last minute). We then transferred the soup to our French oven on the stove and slow cooked it for another 5 minutes on low and added in some sliced green onion and a ½ tsp of apple cider vinegar.